Your event will be a glowing success with this contemporary take on an antique design for these mini lantern favors! 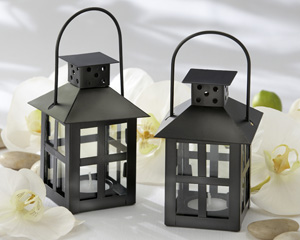 You'll be pleased at the ambience created when you light up your tables with this mini lantern favor, perfect for wine tasting party favors, adult birthday party favors, outdoor wedding events, and whatever your occasion! 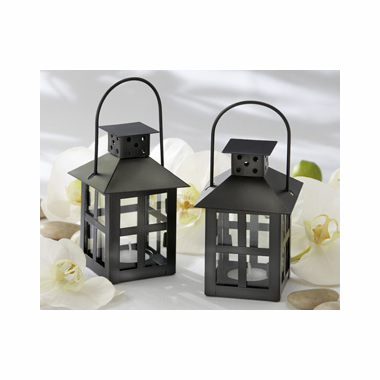 The decorative lantern is crafted from matte-black metal and glass and measures approximately 7½h (with handle extended) x 3½ square - perfect size for place setting use or decorative use around your venue! The tea light is not included.